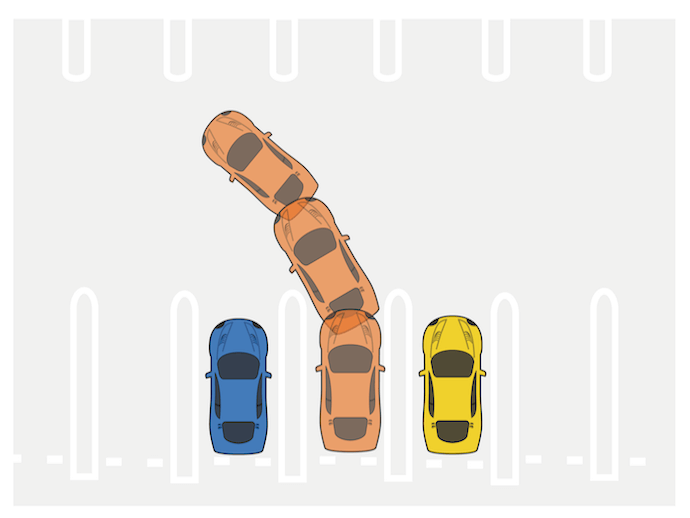 When a beginning driver goes out on a driving date, parking can be a very stressful thing. Particularly stressful is reversing into a carpark and parallel parking. 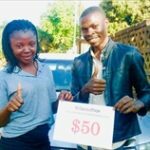 Let's learn the techniques of garage parking and parallel parking so as not to be embarrassed in front of her. 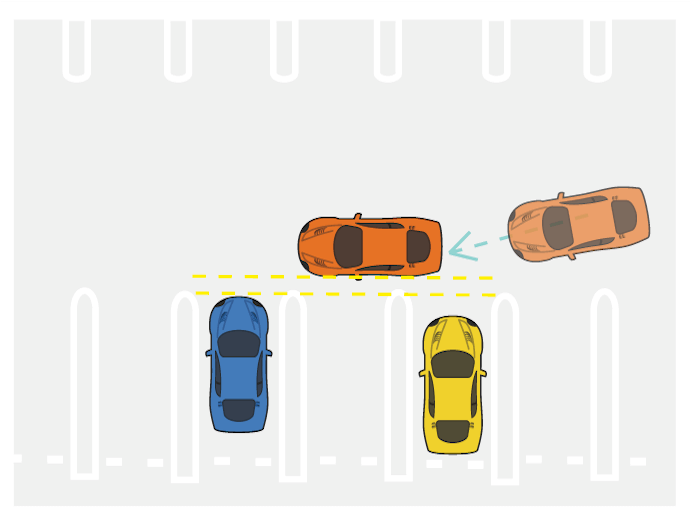 Pull the car so that it is perpendicular to the car parked in the space next to the place you want to park. 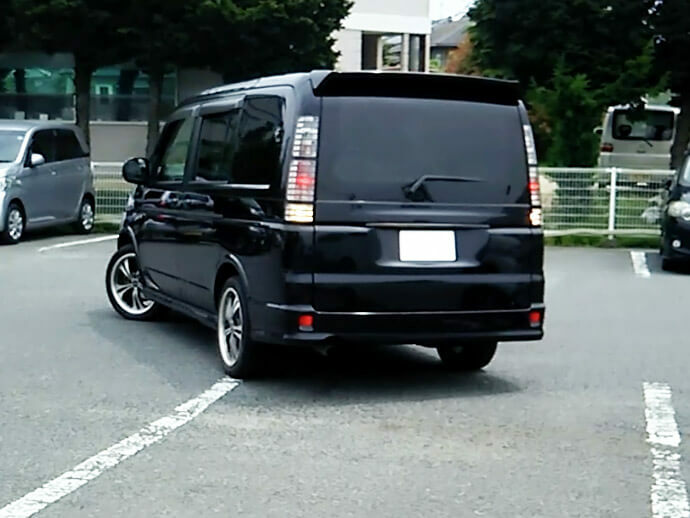 If there is no parked car, it's a good idea to use the parking lot's white line as a guide. Allow a gap of about 50 cm from the front of the reference car. Then, when the white line of the parking space you want to park in is aligned with your shoulder, you should temporarily stop the car. If this initial positioning can be done correctly, the subsequent parking operation will be very easy. From the position decided in 1, turn the handle all the way to the right and slowly move forward. 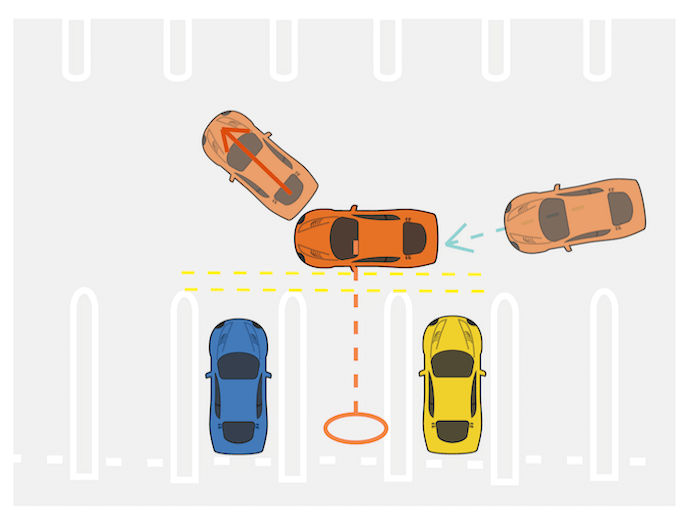 Your car will turn diagonally against the parking space. 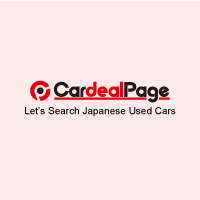 As you proceed to a certain extent, the car on the left will appear in the left door mirror, so stop moving once you gain a little clearance with your car. Then straighten the steering wheel and put the car into reverse gear. Keeping the steering wheel straight, back toward the parking space while carefully checking rearview. 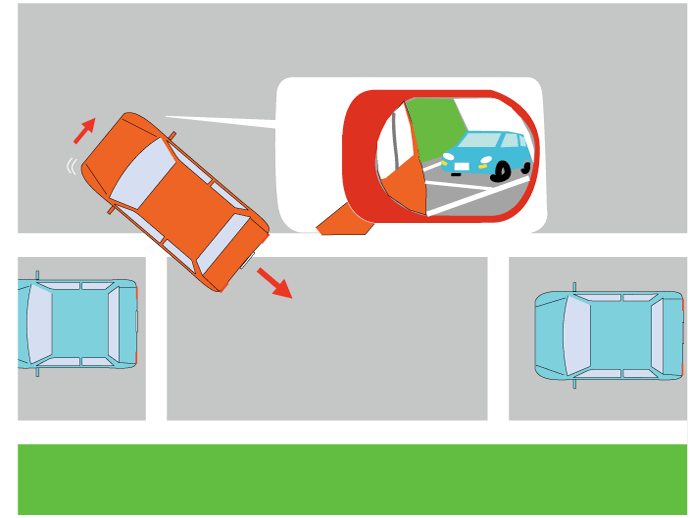 While confirming that the car on the left is not too close to the left door mirror, slowly move the car backwards. As the tire at the back left of your car passes the right front side of the car on the left, it is time to turn the steering wheel to the left. Turn the steering wheel slowly to make your car parallel to the car on the left. 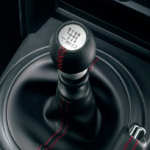 At this time, if you are too close to either the left or the right, or if the angle of your car becomes oblique, move forward and correct the position using the steering wheel. 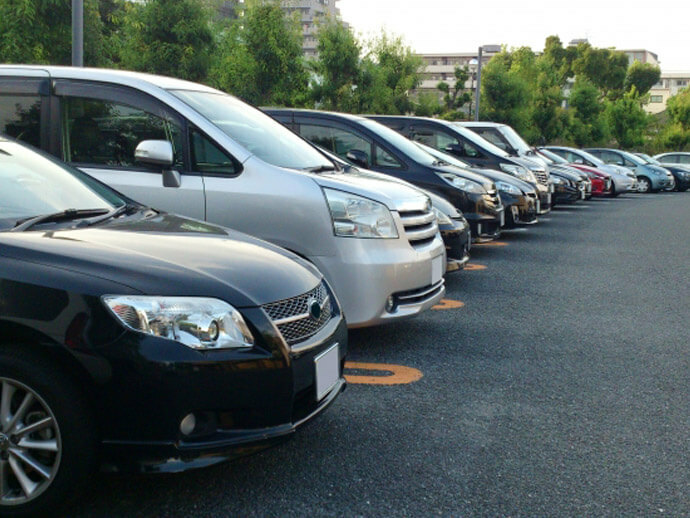 Stop your car parallel to the car parked in front of the parking space you wish to park in. Please allow a gap of about 50 cm between cars as a guide. At this time, stop at the place where the two tails are aligned. When this positioning is achieved, start turning the handle to the left. As you turn the handle all the way to the left, reverse the car. At this time, the front of your car will go out into the driving lane of the road, so check for following cars and reverse carefully so as not to collide. When reversing, check the right door mirror. When you can see the whole car behind you reflected in the door mirror, return the steering wheel to straight and reverse slowly. As the left front of your car passed the right tail of the front car, turn the handle all the way to the right. You may exit the car and visually check to see if you are concerned. The timing is important. If the steering wheel is turned to the right too late, the rear wheels will hit the curbstone. 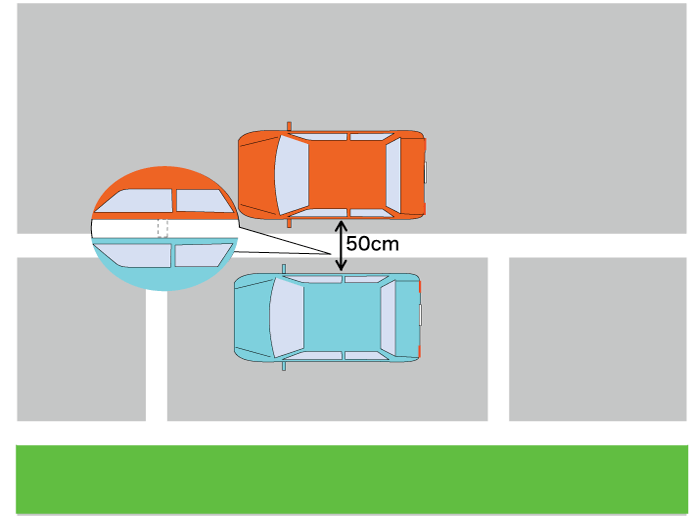 If turned too soon, the car will not fit within the parking space, or will hit the car in front. 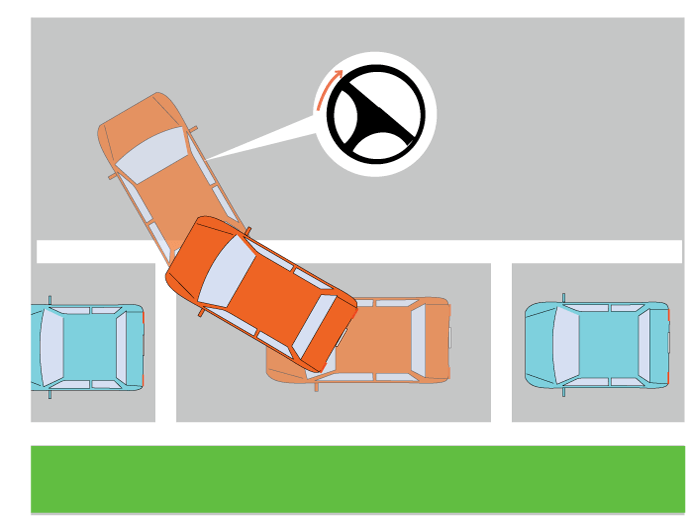 If you can reverse to the point where you are almost in contact with the rear car, turn the handle to the left, drive forward and adjust the parking position. If the car becomes angled, you should adjust back and forward repeatedly. 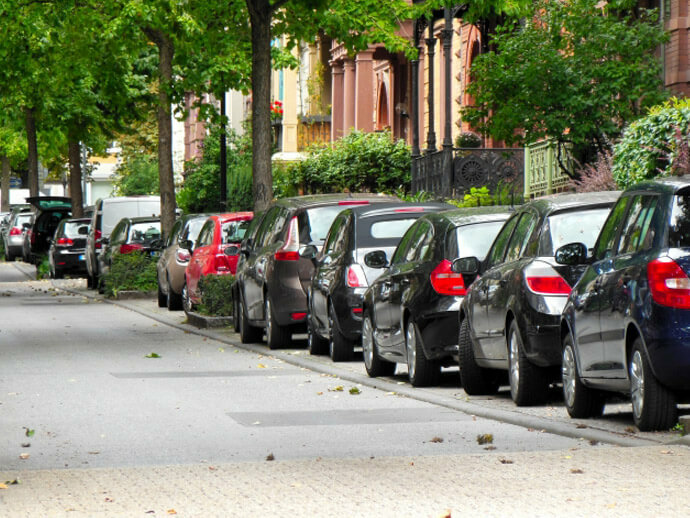 In order to be able to reverse and parallel park well, you need to remember and practice these tips of timing. Practice thoroughly before dating, referring to this content. Is it Dangerous to give someone a Jump Start? Is your Check Engine Light trying to say Something? 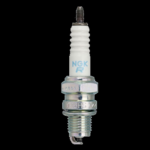 How Good Is Rotating The Car Tires? A Liquid Comes Out Of My Exhaust Pipe What Could This Be? What causes black or white smoke to come from a diesel car’s exhaust?